What a blessed week we have had! All things considering Easter week was filled with revelations and blessings. We had a beautiful service at church yesterday. It was my first Sunday to return to Children's Ministry. I am not sure who was more excited to see one another me or the kids!?! I taught the Easter lesson and everyone else handled everything else! I am learning to navigate this new life of mine! My wheelchair and walker are my new best friends and make getting around much easier. All though I hope this temporary if it is not, I came to realization it will be okay. What's on my plate and what am I wearing? I decided since I was going to be hanging out at home all day and my lupus body has had it lol! I choose a pair of comfy pjs. some floral stretchy capri's with a robin egg blue flowy shirt to match! Weather ~ We are expecting beautiful weather this week! I am so excited for the warmer weather! The sun is shining and it is a beautiful spring day out today! All of creation seems to be in bloom and my heart is so happy! The birds are playfully playing on my porch!I love spring! It is like all of creation is waking up for the very first time! My lamp,diffuser, Bible, prayer journal, medicine cups for nightly around the clock pain control, my little dish that holds my chapstick, pen, inhaler, and last but not least a bottle of water! I am still working my way through my new study What Happens When Women Walk In Faith for devotion time! We were in walmart earlier in the week and my daughter was looking for a new book to read and my husband was just looking around I noticed he had picked up a book and was reading the back. Which was odd unless its ministry related he isn't a huge reader. He handed the book and said there is only one of these books and I am pretty sure this copy is yours. So I read the back and couldn't agree more! So after a nap today ! I plan to begin this book. I will have to let you guys know my thoughts when I finish it! I can not do it by myself and I know that! ~Pack for Women Of Joy so I am not overwhelmed with it next week. -Jazz up my wheelchair ! I am determined if I an going to ride in it I am going to have fun with it lol! The same as last week! I am slowly trying to paint the American Girl Doll air dry clay food I had made before I went in the hospital! I also am planning to paint a flamingo on the back of my wheelchair for women of joy with a cute saying! I recently also had to get a walker. So I thought I would deck it out in feather boas ! I have always loved to just be me and have a good time ! So I am determined to find joy through this new me! ~I have appointment with the lung specialist on Wednesday. ~Our church is having SpringFest a huge festival with entertainment, craft vendors, food, and so much more! It was rescheduled for this Saturday after being rained out 2 weeks ago. It's not bad all things considered... My youngest and I plan to try to clean good later in the week when I feel a little better! Worse comes to worse we will take care of it next week! I have a few favorites this week I want to share ! I am so blessed to have such an amazing family! My Roses are In full bloom and they are beautiful! My youngest made this adorable cake ! One of my adopted daughters at church painted me this adorable bunny picture I love it ! This picture was one of my favorites on my camera roll! This is on my husband's grandma's tea table in our living room! Spending time with those I love and reflecting on things that matter most! Easter is my favorite time the year! It is a real reminder of what Jesus has done for me !!! I am thankful for that gift ! Thank you all who prayed for my daughter last week as she went to have a place on her breast checked! It came back as normal fibrosis tissue!!!! Thank you so much for all of you who prayed for her ! I know she was scared! Please continue to pray for me! I have began walking around the house with a walker! I am still very limited to what I am able to do! I have already paid to a conference with the ladies of our church next week pray I can do this and the trip for everyone goes well. My oldest and her boyfriend were in a car accident yesterday! Thankfully for the most part everyone is okay, However she has a pretty nasty bump on her head and she didn't go to the ER to have it checked. She lives on her own now so you know us Moms we worry! Continue to pray for my friend who's family who is in the ministry but is in transition. its hard to leave a church and wait for what's next. Help me pray God continues to prepare them for what's next. Oh how I truly love to wake up to the sun shining through the lace curtains in my room! The sun kissing my cheeks is the sweetest wake up call ever! It felt as is the birds were singing just to me this morning. I love spring I have counted the days till its arrival! All though it's arrival came during my 23 day stay in the hospital. It was us a cold ugly day as if it was matching my mood! I am happy that both of us are feeling a little more like ourselves! I have once again found myself at a not so easy journey! A new me to adjust too. This one harder than the last. My pericardium is constricting my heart. I live in severe pain. However I am determined to live this life with joy and quality! I am trying to adjust to new meds and a stronger pain control. I can no longer over excerpt myself! I have found myself needing my wheelchair again due to not being able to walk long distances. I missed church this week but listened to live stream! All in all I am blessed to be here! Thanks to listening to my ramblings lol! 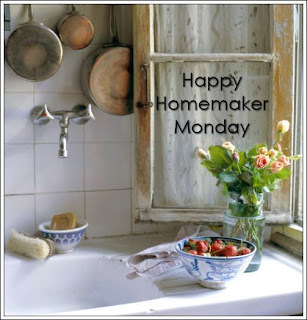 Today I am linking up with Sandra at a Diary of a Stay at Home Mom for Happy Home Maker Monday! If you want to join in o the fun follow the link below! There is a chance of rain most everyday but Sunday! I pray its warm and dry! We plan to have our family dinner outside at my house! The sun is shining beautifully! Everything is turning so green! Coming to life before my eyes! I have been watching a butterfly flutter around. I need to put the front porch furniture back out! I feel like what you find here is a organized mess lol! I have a lamp, diffuser , My prayer journals, several devotionals, my ipad, a bowl that holds my rescue inhaler, chap stick, hair bows, pen, and high lighter, 4 medicine cups for my around the clock night meds, Which I am still adjusting to! Last and not least water bottle! We recently had to get creative about my bedside table! I sleep in a adjustable bed! I literally sleep setting straight up! I needed my bed side table to be where I could reach it from any angle at all angles. So I have an antique sewing table that folds out ! So we were able to adjust it to work! it can be opened with out pulling up the sewing machine up. It can be used for a table. So that's what we did! I covered it with a antique lace table cloth! It looks like it was made to be there the whole time! I love it! I have started the top one! Its an actual study! It has been amazing! My sweet hubby got it for me during my 23 day hospital stay! I am excited to start this one next! The one of ladies of our church got me this one. The ladies of our churchis going to women of joy conference the first weekend in May I plan to take this one to read in my down time! I am unsure! I have been given strict hubby and daughter instructions ! I am not to attempt to cook. They have it under control! I m trying very hard to listen and be a good patient lol! I do know that my daughter and I plan to make a strawberry bunny cake for Easter Sunday! I am excited to help her! Before my very unexpected hospital stay. I made some food and kitchen supplies for my American girls. For photo and story props! Non of those have been painted yet! I hope to get that done and then begin to work on the farm scene for the new story line! These are things I can do! These paper plates are filled with doll food to be painted! I would really love to sew the girls in our A Life of Faith group a doll dress for Easter. We shall see. For the most part all things considered! The house just needs a general tiding up. My sweet youngest daughter is doing that for me as I blog actually! Its hard for me to let someone do the things I am passionate about doing. 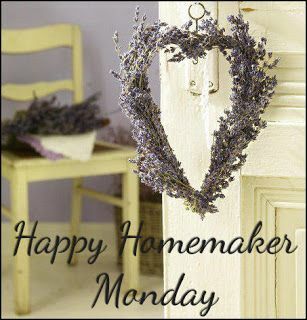 I have always loved serving my home family and caring for my home! However she reminded me this morning that its okay to need help. I can not do these things right now and may never be able to again. I need to focus on things I can do and not on the things I can not do! Wow, let that sink in a second! When did my 19yr old become so wise! So needless to say, my home is being cleaned up and smelling like freshness as I type! I am thankful for the amazing family I call mine! Well my wardrobe has been consistently dominated by p.j's lately.... Today is no different lol! For the moment I have a baby pink silk night gown on... When I shower soon I believe it will be a oversized t-shirt and my pink Disney pajama bottoms. For now comfort is a must! Nothing says comfort like comfy Disney p.j's! Spending the day with my family! Whether it is on the couch watching a movie, in a hospital room gathered closely around talking, being pushed around in wheelchair in a mall trying to find a Easter outfit. It doesn't matter where we are! Together is my favorite place to be! Unicorns make everything better! The super cute house slippers were a gift from a friend! While I was in the hospital! They made everyone smile when they seen them! Lol you would think I was 5 instead of 42! But I wouldn't have it any other way! Here is one of each! I started changing my phone wallpaper for my home screen weekly with a new verse! That is the verse I am memorizing that week! I thought I would share and see if anyone else would like to give it a try! That means you would learn 52 memory verses a year! Which I am pretty excited about! So here is this weeks verse ! Now the whole verse is not on screen. I write the complete verse out on a index card and keep it on bathroom mirror. However the screen reminder is enough for me to recall the rest of the verse! I am so very thankful He lives! Job 19:25! Because of His precious gift! I have assurance when I close my eyes in death here! I will open my eyes in life with Him forever!!! This quote is something I am having to tell myself daily! Three years ago my fall changed everything I knew ! Including my size! I am a plus size curvy girl for sure now! I was once a very thin curvy girl. I have struggled with eating disorders in the past. No that my world has been flipped upside down. I am having to accept that this is who I am and I am beautiful because I am me. My size does not define that ! I was told before I was discharged. Exercise was no longer allowed, short walks yes but true exercising no! Any strain on my heart could lead to cardiac arrest and could kill me! My heart muscle is very healthy. The skin around is not..... The only way to fix is a very dangerous surgery! It is a last ditch effort, even then I am not sure I will consent to it. Especially if it would steal quality of life. So I am now watching what I eat and portion size. But honestly I take 17 medicines a day! I may stay the size I am... It may fluctuate more or less... I have to learn that I am beautiful no matter what and not focus on the number! Be happy I am alive and here! Please remember my bestie Stacy! As God has closed one adventure and is opening the door on another! 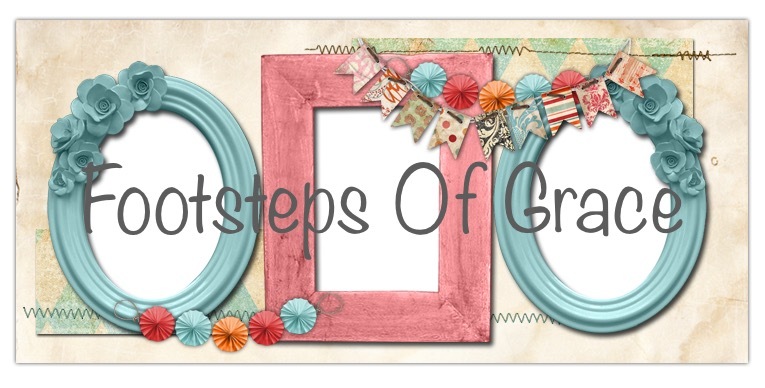 I pray for traveling grace, for a smooth transition as they switch ministry gears, I pray the kids can adjust well, and I pray God opens a door for them in the very near future somewhere they can be used and loved for exactly where God wants them! Please remember my daughter Christian about two months ago she was doing a monthly breast exam and found a pea sized knot in her breast. she has a ultra sound Wednesday. Please help us pray its nothing serious. My oldest daughter has tested positive for lupus! Help us pray they can get her on the right meds! Please continue to remember me ! I was diagnosed with constrictive chronic pericarditis. right now it is not effecting the pumping of my heart. But that is fear. It goes on a sliding scale of 1-5. Of course 1 not being bad at all 5 being the worst. Mine is a 3.5 at the moment. We have to get my lupus under control. My body can not with stand another pericardial effusion, fluid on the heart. That will cause the pericardium to thicken more. effecting the hearts ability to pump. It could very well kill me. There is a surgery the can do to strip the pericardium of the heart. The said it would be like trying to peal the skin off a grape with out hurting the grape. There is a 50/50 success rate. Please pray I can live a long full life. with quality. Even though I may never be able to go back to normal. I want to enjoy things I love. Pray for my hubby and girls as they go through this with me ! Thank you for letting me pour heart out..... I can not thank you enough for stopping by and sharing apart of your day with me today! I pray that each of you have blessed week! I had such high hopes this month to get my blog back to where is wanted it.... However my body had other plans for me. I have been in the hospital for 15 days now! I am awaiting a transfer to Duke hospital. On the 12th of March I woke up feeling really bad and very labored breathing. My primary care doctor couldn’t get me in till Thursday. I knew deep down I was in trouble and that was not an option. I needed to be seen. I was taken to the local ER and transported to a larger hospital from there. We have learned at this point there is some constriction in the pericardium of my heart. The doctors here are not sure if that is the problem. They want me somewhere a rheumatologist and a cardiac team can set down together and decide what is Lupus and what is from a different source. I think this is a wonderful plan. I have been waiting to be transferred since Friday! I miss so many aspects of my old life. I was almost excited when I thought the heart was for a moment there is a procedure that could fix that. The doctors where I am now are scared to touch me because of all of past history. These past few days have been topsy turvy with emotion. Pain levels don’t help that all nor does their favorite drug of choice prednisone. All though I know it is needed, I really hate taking large amounts of medicine. I dislike even more being stuck in a hospital bed. I have tried to find something to be thankful for and joy in each day I am here.... I think that has helped keep me sane lol if there is such a thing. We celebrated our youngest daughter 19th Birthday in my hospital room on a Sunday. We had a nice dinner brought in and French macaroons brought in for her instead of a cake! She loved them.... Even though this was not the ideal way to celebrate a Birthday I am very thankful we were all still here to celebrate with her! My oldest daughter has been awesome making sure anything that needs to be taken care of at home is done. So my hubby can be by my side during all of this. He’s my rock and really don’t know what I would do with out him! I am very blessed to call him mine! It is our prayer that by the end of the day tomorrow we are heading to Duke and that will lead to answers and more quality of life! I want when people here my story they can see Jesus’s all over every aspect of my life. That will make others want to draw closer to Him! If you read my last entry you know I have been on a social media fast for Lent! I have to say I don't think I realized how much of my time it actually took! I believe when Lent is over, there will be major changes on how much time it gets! My body still has a mind of it's own and makes life less than easy at times. My home had been hit with the flu and we finally recovered from that then bam I was hit with something else. Prayerfully I am on the back end of whatever this is. My heart is ready for spring! I have been daydreaming of warm days and starting a herb garden this year! We have had so much rain! My yard is like walking in a swamp. So thankful to see lots of sunshine and warm weather this week! We have a chance of rain later in the week. I hope it changes its mind and doesn't! I just finished up some cereal. Still sipping on coffee as I set at the kitchen table working on this post. I love how the sun shines through my lace curtains in the living room! It whispers the promise of spring! My thoughts are all over the place right now! I have so much I want to do! So little energy. I was approved for Benlysta injections at home for my Lupus. I had my first shot last Tuesday! I have not felt well since! I pray that it was just a fluke and my body was still trying to recover from the flu and pneumonia. Praying tomorrows shot goes well and little if any side effects. I have decided that I need to set weekly goals for myself. In hopes to accomplish things I want done! I know I will have to be realistic. I think it may help with the fact I am still unable to drive. If I keep myself semi busy I won't miss some of the things I have lost along the way so badly. Nothing at this very moment... I hope a trip to the local bookstore will soon remedy that. Knightfall - I just finished the first season I can not wait till the next. Honestly it needs a good cleaning! There has been so much sickness! Its been disinfected... Just not kept picked up the way I like it be! My youngest helps me beyond imagination! She has had some other things she wanted to take care of last week. I miss being able to be the homemaker I once was. I know things change... I am still trying too adjust to the new normal with joy. Before I got so sick I dug out some spring skirt patterns to sew! I pray that I can begin working on them. I was asked to try my hand at making American Girl doll food from air dry clay! I have it created its waiting to be painted! Maybe next week I will have pictures of one or the other. Spending time being creative! Its always been one of my most favorite things to do! Please help me pray my body will respond well to the Lupus meds with out the horrible side effects. Praying for our nation... We need God back in every aspect of our country. Also help me pray for a very dear friend and their ministry! Thank you so much for stopping by today and sharing a moment of your day with me! I pray that each of you have a blessed and wonderful week! February has came and gone and we have entered into March! With all hopes spring is just around the way! February was a hard month for our home! Full of sickness and uncertainties. I have high hopes March will be a month of healing and good days ahead! Our church is participating in Lent this year. Normally we do a church wide Daniel fast. My body does not do well with the diet and I normally have to change it up so I can tolerate it. So when my hubby announced the change my heart was eager and happy! I choose to give up facebook, instagram, and snap chat! These forms of social media tend to take up more of my precious time than I need to allow it. I am excited to use this time to grow closer to Jesus. Also to devote more time on my blog. I think I have decided to combine my blogs during this time as well! I have SLE Lupus and I honestly have a hard time trying to balance two! I am excited to see how my relationship grows stronger and how these next few weeks change my view on social media as well! Easter is one of my favorite holidays! Its a reminder of all Jesus gave up for me and forever changed who I am! Do you participate in Lent? If so what do you give up during that time? Thank you for stopping by! I am praying for you and pray you have a blessed day!